Raphael Travis’s research, practice and consultancy work emphasizes positive youth development over the life-course, resilience, and civic engagement. He also investigates creative arts, especially Hip-Hop culture, as a source of health and well-being in people's lives. 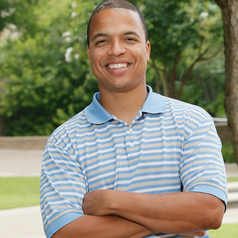 Dr. Travis is an Associate Professor and BSW Program Director at Texas State University in the School of Social Work. Dr. Travis is the author of “The Healing Power of Hip Hop” and his latest research appears in a variety of peer-reviewed academic journals. Dr. Travis wrote the book, The Healing Power of Hip Hop (Intersections of Race, Ethnicity, and Culture), with three main goals in mind: to help people understand how hip hop changes life, and that hip hop is a fuel for improvement; to introduce people to a new generation of leaders who he calls “cultural ambassadors” or people who understand how hip hop can be used positively; and to appreciate the research and celebrate the richness and the empowering aspects of hip hop as a culture. Dr. Raphael Travis Jr., LCSW, holds degrees from the University of Virginia, the University of Michigan, and the University of California at Los Angeles.